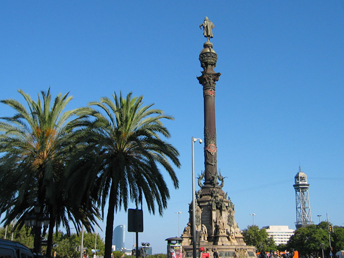 Perhaps the most dynamic and innovative of Mediterranean cities, Barcelona unites, on the one hand, the traditions of 2000+ years of history (the city of Laye was conquered in the year 133 B.C. 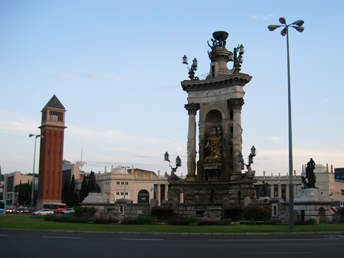 by Lucius Cornelius Barcino) with, on the other hand, its characteristic propension for expansion, commerce, and creativity. 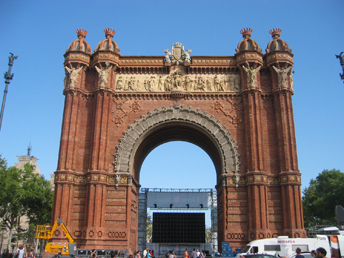 In 10 A.D., the Emperor Augustus ordered a small Roman colony of ex-legionnaires to be founded there and centuries later, the monarchs of the Catalan-Aragon crown built their Medieval palaces and turned the city into the Capital of the greatest maritime Empire of the Middle Ages. 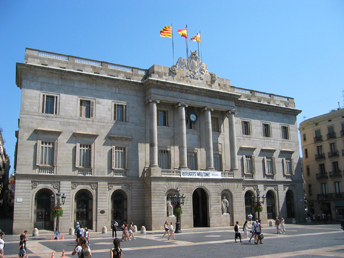 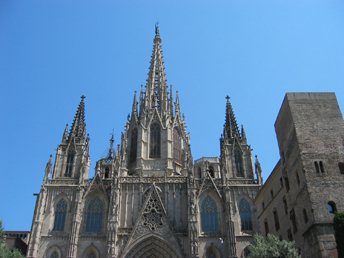 During the 13th, 14th, and 15th centuries, many buildings were erected in the city, both religious and civilm in a particular Gothic style, Catalan Gothic, characterized by its decorative contention. 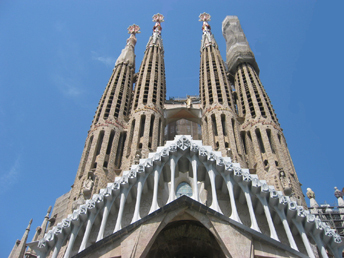 Many centuries later, in 1882, Barcelona's greatest artist, Antoni Gaudi, placed the first stone of the Basilica of the Sagrada Familia, one of the symbols of Barcelona. 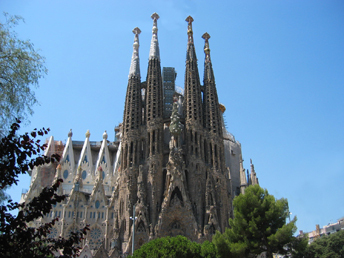 Currently, well into the 21st century, the Sagrada Familia is still under construction, and hopefully its works will finish around 2025. 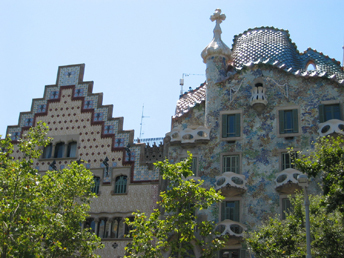 Many buildings and squares in Barcelona are dominated by Art Nouveau (or Sezessionstil) - this is the Modernisme reflected in architecture, something that has left great mark both for the quality of the buildings and the architects who worked within this style. 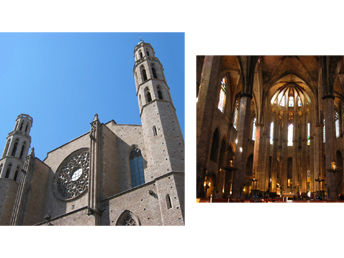 This is in perfect harmony with the beautiful churches of Barcelona, such as the Basilica of Santa Maria del Mar and the Church of Santa Ana. 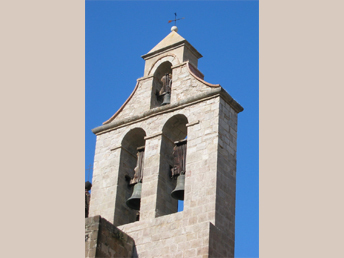 Thanks to the economic power of the city, the construction of Santa Maria del Mar, which was soon known as the Cathedral of the Sea, was completed in little more than fifty years (1329-1386). 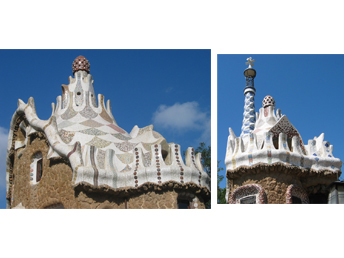 Those churches are wonderfully complemented by the Sagrada Familia of Gaudi who has however left many other chedeuvres in the city - some of them are to be found in Park Guell. 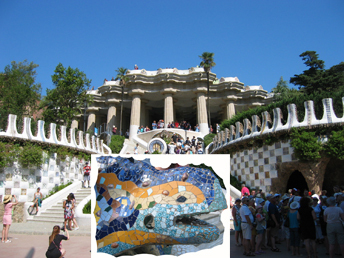 There, Gaudi was able to express his extraordinary gifts as an innovative architect, his role of urban planner in the layout of paths, roads and shared services for the urbanization. 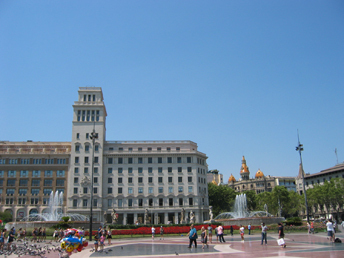 Completely "outside" the Medieval and Gaudi influences, is yet another attraction of Barcelona - La Rambla. 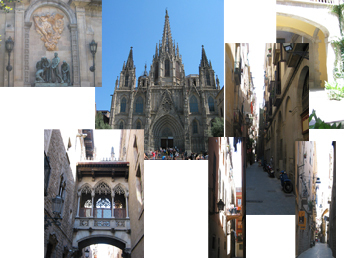 There is no other street in Barcelona - an explosion of life and color along which circulate people from all walks of life. 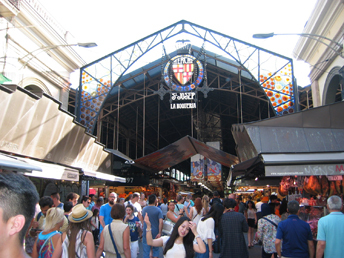 Walking along the street, one would see the Market of Sant Josep "La Boqueria", famous with its high-quality fresh food. 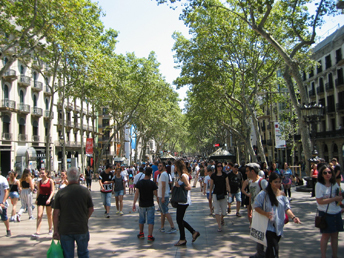 Another very important street in Barcelona is Avenida Diagonal - one of the broadest and most important avenues in the city, cutting it in two, diagonally from West to East. 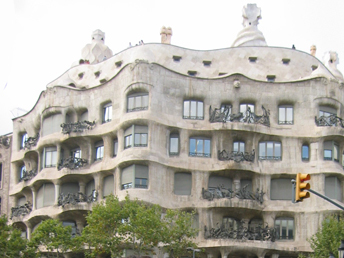 There one would also enjoy the heritage of Gaudi - impressive buildings, such as Casa Mila (known popularly as "La Pedrera") and Casa Batllo (it is close to Avenida Diagonal). 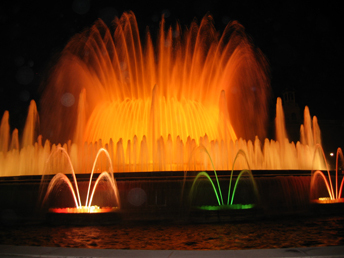 And three years after the death of Gaudi, in 1929, at a place overlooking Placa Espana, was built the Magic Fountain of Barcelona, that creates authentic sculptures of water of changing shapes, and in line with the rhythm of music. 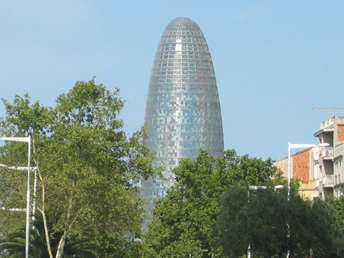 Moving to the past decades, one would be impressed by Barcelona's still changing and developing - this can be seen from the modern buildings of the city, such as Torre Agbar. 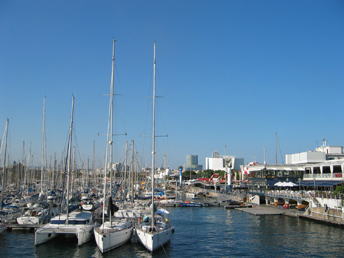 Still, all buildings (old and new) and the life in Barcelona, are essentially influenced by the Mediterranean spirit - it is always enjoyable walking along the coastline where are yacht harbors, ferry stations, and several small in-town beaches. 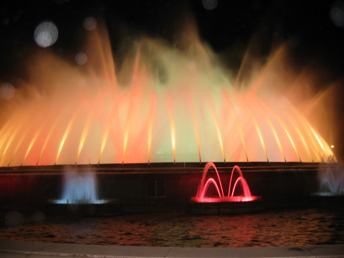 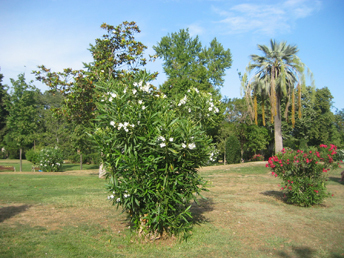 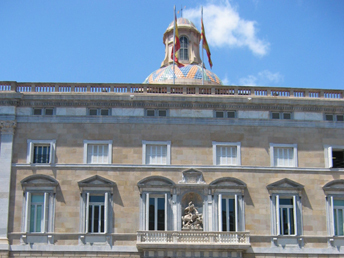 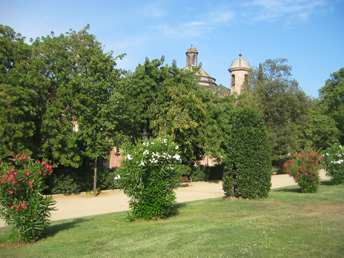 For relaxation, visitors to Barcelona may enjoy one of the city's beautiful parks and/or the Montjuic Botanic Garden.